Russian School of Violin Playing Performance Space Tabor College 68 Greenhill Rd, Wayville. The Russian School of Violin playing presented by Jonathan Glonek. Performance Space Tabor College 68 Greenhill Rd, Wayville. The discussion will focus on several areas of common concern for players and teachers including instrument and bow hold integrating with intonation, shifting, tone production and bow distribution. 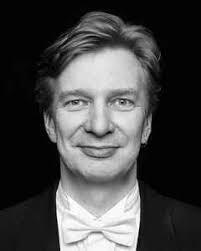 A special focus on Scale practise, Bach and Paganini will be addressed in live class. Participants are encouraged to bring their own instruments (violin and viola). Applicable to all levels of study and Pedagogy. Masterclass follow this presentation. Our combined piece for 2019 is the brand new work by Melbourne composer Eugenie Teychenne. Did you hear Sea Fever at the New Music Reading day? It is a wonderful piece catering for a wide range of different standards. Teachers may place an order for score and parts through the playingpossums website using Paypal or credit card. Or, if your school prefers to receive an invoice, teachers may email Eugenie directly with their order. Simply follow the prompts on the website. Our conductor for 2019 is the wonderful Jenny Going. It will be a terrific afternoon of music making! 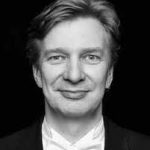 2 PART CONDUCTING WORKSHOP WITH GRAHAM ABBOTT Wednesday 22 May 7.30-9 and Wednesday 5thJune 7.30-9 Venue and Booking TBA Cost AUSTA Members $20 Non- Members $30 per session. Cost AUSTA Members $20 Non- Members $30 per session. and will discuss any other topics that are suggested on the night. Entries will soon open for the 2019 Paul McDermott Violin Scholarship. A prize of $1500 is awarded to a violinist younger than 15 years on 1st July 2019 and resident of Victoria. The prize is to aid further study and a public performance at an AUSTA event. Auditions will be held on Sunday 23rd June 2019 at Scotch College Melbourne. The Austa NSW String Festival is an event designed to give young players the opportunity to perform in friendly, non-competitive and supportive environment. Participants are invited to play one piece either solo or with an accompanist to the best of their ability. Participants will play one by one in a small group with other players of a similar age and ability. Unlike an eisteddfod there are no section winners and no first or second places. All participants will leave with a Certificate of Participation, a trophy and an adjudicators report. Each session is expected to take around 45 minutes. On Sunday 23 June 2019 at 9:00am. Sessions will run between 9am and 4pm. Players will be advised of their session time 1-2 weeks in advance and registration will be 1/2 an hour prior to their allocated time. A piano accompanist will be available on the day but participants may provide their own accompanist. Please select ‘accompanist needed’ when booking your ticket if the player requires the services of our in-house accompanist. Any extra rehearsals will be charged to you directly by the accompanist. Each participant will receive a certificate of participation and a trophy. They will also receive a panel report. All enrolments are handled through trybooking.com. Participants can enrol themselves individually or teachers can enrol their students. Please note that payment via credit card is required at the time of booking. Please click on the link below to take you to trybooking.com where you can enrol and pay. 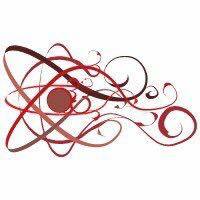 You can also send this link to your students and they enrol themselves. You will be asked for details of your students who are participating such as their age and level of ability. Based on this information, your students will be placed in groups of comparable standard and ability level. AUSTA VIC is pleased to present its first MINI-CONFERENCE with principal presenters Yvonne Frye & Teppo Ali-Mattila. There will be sessions covering all instruments, including masterclasses, lectures and forums. Further details will be made available through the AUSTA VIC Newsletter, AUSTA E-news and on the AUSTA website. Multiple sessions to choose from covering ALL stringed instruments. See details above on NQ home page. Our string pedagogue for 2016 is Lisa Grosman. 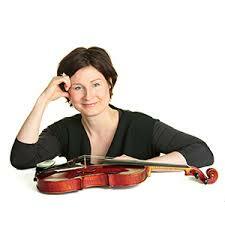 Lisa Grosman has returned to live in Australia after nearly 15 years as a member of the Irish Chamber Orchestra. During this time she toured extensively throughout Europe, America and Asia, working with directors such as Anthony Marwood, Richard Tognetti, Maxim Vengerov, Gabor Takacs-Nagy, and Steven Isserlis. 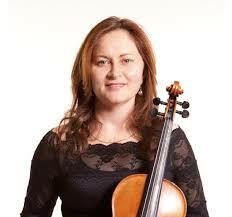 In 2015 Lisa was appointed to the Monash University String Faculty to nurture and encourage the study of the viola. Lisa began learning Suzuki Method violin aged five, later studying with Alice Waten at both the Sydney Conservatorium and the Australian Institute of Music. She served as Concertmaster of the Australian Youth Orchestra and while attending a program at ANAM, she met Esther van Stralen (Principal Viola, SSO) and Irina Morozova (Goldner Quartet), and became fascinated with the viola. This led to masterclasses at ANAM with Professor Bruno Giuranna. After receiving a scholarship to join his class at the University of Limerick, Lisa travelled to Ireland, completing a Master of Arts in Classical String Performance. She studied with Professor Giuranna for a further two years in Cremona, Italy. For four years, Lisa was the Director of Strings for the Irish Chamber Orchestra’s Education and Outreach Project in inner city Limerick, teaching over 300 children in an El Sistema inspired program. Aside from her work with the Irish Chamber Orchestra, Lisa was the solo violist in the contemporary music group “Crash Ensemble” for nine years, working with artists such as Arvo Part, Steve Reich and Gavin Bryars. She was also very involved with the National Youth Orchestra of Ireland, and was a guest examiner at the Royal Irish Academy of Music. Since her return to Australia, Lisa has taught at the University of Queensland, been Guest Principal Viola of the Australian Opera and Ballet Orchestra and the Tasmanian Symphony Orchestra, and also performed with ACO, MSO and the Australian World Orchestra. She is a guest teacher at Suzuki workshops and has set up a relationship between the Pizzicato Effect and students at Monash University students. Lisa has received numerous awards and scholarships including the major prize from the Australian Music Foundation in London. Lisa’s viola was purchased with assistance from the E.V.Llewellyn Memorial Fund. Wednesday 11 September 7.30 -9.00 LEARN THE BASICS OF IMPROVISING WITH STEPHAN RICHTER ST ANDREW’S SCHOOL Corner Smith and George St. Walkerville. Corner Smith and George St. Walkerville. The AUSTA Q Mini Conference is fast becoming one of the most anticipated events of the calendar with a vast array of presenters and workshops available for delegates. This event will include sessions relevant to Stufio Teaching, Group teaching, Ensemble Direction, as well as sessions covering Violin, Viola, Cello and Double Bass specifically. AUSTA Q is again subsidising this awesome event so there is no reason why members cannot afford to attend. Encourage your peers and former students who are now teachers to come along and Recharge, Refresh and Stretch yourself. Activities for leisure, professional development, individual lessons, chamber music, aural training, jazz, fiddling and more!